Experiment Design/construction/improvement and operation of a fusor experiment. 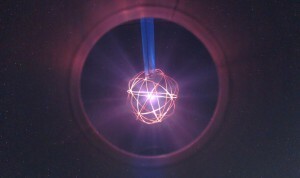 A look inside the fusor showing a plasma inside the grid. The fusion reactions in this experiment produced just under 1 million neutrons per second.